Most participants had worked for a few years "inside the machine" and then gone on to further academic research. They had a number of interesting stories. In response to my question ("were you able to revoke policies that failed an economic cost-benefit? "), they answered "No. It's really hard to kill a policy that's in place. Most of the good we did was in preventing bad ideas from moving ahead." Here are two MP3 recordings. The first has everyone's opening remarks; the second has the Q & A. Bottom Line: It's hard to work for change from within the government. On the one hand you have access to decision makers and the policy process; on the other, you may be trapped in bureaucratic silos or excluded from decisions where the policy is to ignore economics. Will someone remind me to play this for my benefit-cost analysis class in the fall on one of those days when I'm wrapped in a blanket, curled in a fetal ball and can't face delivering my lecture? Burmese pythons have eaten so many small mammals in Everglades National Park that populations of rabbits and foxes have disappeared and numbers of raccoons, opossums and bobcats have dropped as much as 99%, according to a report released Tuesday by researchers at Virginia Tech University, Davidson College and the U.S. Geological Survey. “Pythons are wreaking havoc on one of America’s most beautiful, treasured, and naturally bountiful ecosystems,” said U.S. Geological Survey Director Marci McNutt in a statement. “Right now, the only hope to halt further python invasion into new areas is swift, decisive, and deliberate human action,” McNutt said. Burmese pythons are native to southeast Asia, their range extending from southern China to the Malay Archipelago, according to the National Zoo. The snakes reach breeding age in four to five years and a female lays an average of 35 eggs during the spring breeding season, though one snake may lay up to 100. Burmese pythons can live as long as 30 years. In their native range, the snakes are considered threatened and are hunted by humans for their meat and skins, according to the National Zoo. Does anyone have any idea why markets aren't solivng this? A shortage in native hunting areas, a surplus in non-native protected areas, external impacts from an invasive specie...someone's missing an opportunity. Can I assume this is a regulatory problem? **It's fun to throw in a Ross Perot quote every once in a while. To determine which smaller cities are growing fastest, we used census data to calculate the population growth rate between 2007 and 2010 for every Metropolitan and Micropolitan Statistical Area (MSA) with fewer than 100,000 people. These statistical areas are geographic entities defined by the U.S. government that usually encompass a core municipality and its suburbs. The truly smallest towns in America were excluded from our ranking, as micropolitan areas must have populations of at least 10,000. And though the data from 2007 and 2010 is not ideally comparable—the 2007 populations are official estimates based on the 2000 Census, while the 2010 numbers are actual counts—it still provides a good snapshot of how these areas have grown. The population of Boone, a ski area nestled in the Blue Ridge Mountains, rose 14.7% to 51,079. It has a median income of $31,967 and a below-the-national-average unemployment rate of 7.2%, and it was recently named one of the 10 best places to retire by U.S. News & World Report. In addition, it’s home to Appalachian State University. Grump: At the 15% rate Boone's population will double to 88,000 in about 20 years. That will be great, maybe my mortgage won't be underwater by the time I retire. And with 88,000 people there will be no where else to build and I'll be able to sell my house. Then I'll need one of these great small town lists to identify a place to retire to and join the thousands who also plan on ruining it. I've decide to boycott publishing in JEEM (insert smiley emoticon -- see #1 below). Of course, I'm still happy to provide free referee services. Elsevier, the global publishing company, is responsible for The Lancet, Cell, and about 2,000 other important journals; the iconic reference work Gray’s Anatomy, along with 20,000 other books—and one fed-up, award-winning mathematician. Timothy Gowers of the University of Cambridge, who won the Fields Medal for his research, has organized a boycott of Elsevier because, he says, its pricing and policies restrict access to work that should be much more easily available. He asked for a boycott in a blog post on January 21, and as of Monday evening, on the boycott’s Web site The Cost of Knowledge, nearly 1,900 scientists have signed up, pledging not to publish, referee, or do editorial work for any Elsevier journal. The company has sinned in three areas, according to the boycotters: It charges too much for its journals; it bundles subscriptions to lesser journals together with valuable ones, forcing libraries to spend money to buy things they don’t want in order to get a few things they do want; and, most recently, it has supported a proposed federal law (called the Research Works Act) that would prevent agencies like the National Institutes of Health from making all articles written by its grant recipients freely available. What is an environmental economist to do? 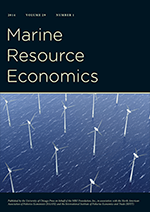 JEEM, REE and Ecol Econ are all Elsevier journals. Sorry, the only boycott I can participate in is the one imposed by JEEM when they decide not to publish my crappy papers. On the other hand, and not to brag[*], but I do have warning track power at REE. Don't we as economists know that boycotts don't work? As soon as the big shots boycott JEEM, my crappy paper will, all of a sudden, look good in the depleted pool. I'll cheat on the cartel, get my paper published and enjoy the benefits of JEEM's reputation built up by the big shots who are boycotting. The most recent AERE Newsletter has an essay written by big shots arguing for the start of a new official AERE journal that would compete with JEEM. This seems to be the proper response, which I fully support, relative to boycotts. Full Disclosure: I earn $1500/year by handling about a paper a week as an Associate Editor at Journal of Environmental Management. [*] Bragging: I discovered that our paper is one of the most cited while finding the link for REE. Thanks for those citations! I hope all of them aren't pointing out how we were wrong. Also, a paper on which I made a minor contribution is at the top of the most downloaded list. State and federal agencies have spent more than $370million to research and fight longhorn infestations in Illinois, New York, New Jersey and Massachusetts. The first U.S. infestation was found in Brooklyn in 1996. The beetles hitch rides to the U.S. inside wooden pallets and crates shipped from Asia. In Ohio, they threaten millions of trees as well as the state’s syrup industry, which produced 125,000 gallons of maple syrup in 2011. The extermination strategy officials proposed in November was to cut down and mulch every healthy tree within one-quarter mile of lightly infested trees and within a half-mile of a tree with at least 10 holes from which the beetles had emerged as adults. For Bonnie and Paul Barbick, that means hundreds of trees in a 20-acre wooded lot near their renovated brick farmhouse. “If there is a way to save (healthy) trees that have some real property values to the owners, they’ve got to work with us on an approach to make that happen,” Mr. Barbick said. In other words, "ERADICATE!...unless it makes my property value go down in which case, WAIT!" Televisions have become so inexpensive that the profits have largely been squeezed out of them, a result of a huge increase in manufacturing capacity that has led to an oversupply and continued downward pressure on prices from low-cost manufacturers and online retailers. The near fire-sale prices are great for consumers, who can now buy a television for a fraction of what one cost just a few years ago. Consumers buy a new television set every seven years or so, and an average household owns 2.8 TVs, he said. While those numbers would suggest a bonanza for television manufacturers, Mr. Gagnon said the larger, more sophisticated sets were expensive to manufacture and cut into manufacturers’ profit margins. A strong yen, relative to the dollar, has further hurt Japanese manufacturers like Sony and Panasonic, while Korean manufacturers like Samsung have benefited from a weak won. Tablet devices like iPads that can be used like televisions are also cutting into sales. I'll post my answers after talking about this in senior seminar class today. As expected, the venerable craft beer pioneer Sierra Nevada Brewing Co. is coming to North Carolina. Gov. Bev Perdue announced Wednesday that the California-based brewery will locate an East Coast facility in Mills River in Henderson County, about 20 miles south of Asheville. It will also include a restaurant. The project will be partly funded by a $1 million grant from the One North Carolina Fund. Sierra Nevada says it plans to have 95 full-time employees, and will invest $107.5 million in the county over the next five years. Another 80 part-time employees and about 60 construction and mechanical jobs are also planned during a two-year building phase. The jobs are expected to begin later this year and continue through 2013. The average wage will be about $42,000, according to the company. North Carolina is home to 21 brewpubs and 28 breweries, making it the most active*** of any Southern state, according to the governor's office. The first decent beer I ever tasted was the Pale Ale which makes one think, shouldn't we be measuring the benefits of the $1 million grant (yikes, is the state really giving them $1 million?) as the additional consumer surplus and producer surplus, not additional jobs. Minus the $1 million, Sierra Nevada would have located somewhere and those jobs would have still appeared somewhere. In addition, jobs are costs. *Either that, or I was actually working (or already drinking**). **A joke people, a joke. New limits on beach driving will take effect along the Cape Hatteras National Seashore starting Feb. 15, and off-road drivers will be required to buy permits that could add $50 to the cost of an Outer Banks weekend. The rules, announced Friday by the National Park Service, were drafted to protect endangered turtles and rare shorebirds that build their nests on the beach. The agency promised to improve controls on beach driving when it settled a 2007 lawsuit filed by three environmental organizations. Fishing is the most popular purpose for taking off-road vehicles onto the sand, a park service spokeswoman said. Other beach drivers are out there to watch birds or just get away from the crowds. Off-road vehicles will be allowed year-round on 28 miles of the Hatteras seashore, and from mid-September to mid-March on 13 miles, the Southern Environmental Law Center said; the remaining 26 miles will be off limits to vehicles. User fees can be used to effectively regulate use and raise revenue. Only those users who are not willing or able to pay a relatively small fee are excluded. Raising the fee during environmentally sensitive periods should be a more efficient policy that full beach closure.